Military Spec. 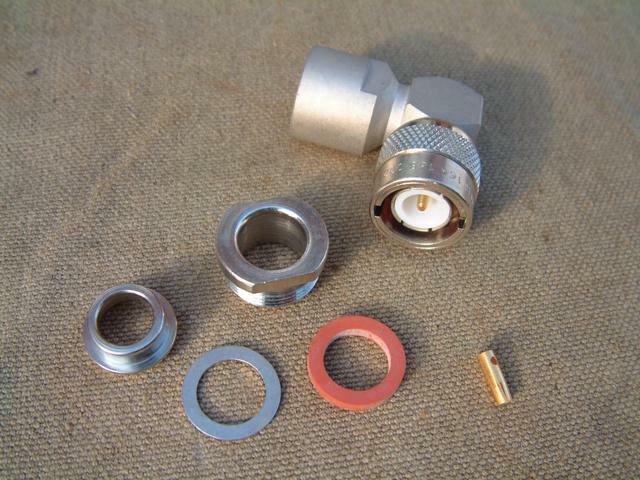 Right angle C type coaxial connector with bayonet coupling. Made by Radiall manufacturing company in France. Perfect for radio antenna applications, avionics and telecommunications. The plug contacts are of clamp / solder type for easy fitting and is used with flexible antenna cables. Supplied in brand new condition in Chrome finish. Radiall Part Number R166-168. Conforms to MIL-C-39012A, MIL-C-3898A, MIL-C-23329A, IEC 169-7 standards.